Don't miss this beautiful 4 bedroom, 2.5 bathroom home with a HUGE backyard in desirable Williamsburg Settlement, zoned to the award-winning Winborn Elementary! 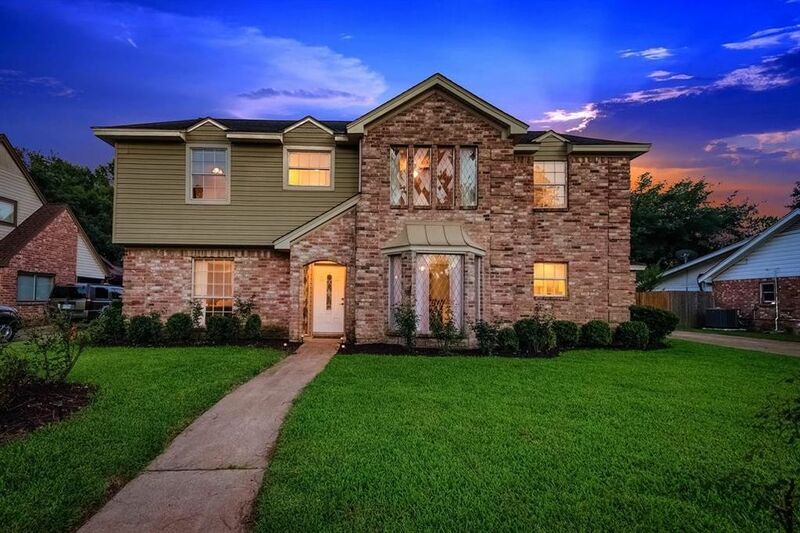 Wonderful neighbors, mature trees, an established neighborhood, and barely a mile off of I-10! Updated kitchen with GRANITE counters, travertine backsplash, glass cooktop and recent stainless steel appliances. Awesome family room -- vaulted ceilings with brick fireplace, wet bar and tons of natural light. Spacious master bedroom downstairs and large master bath with granite countertops and 'his & hers' closets. 3 bedrooms upstairs with large closets and an updated bathroom. Inviting formal dining room with wood laminate flooring. Fresh paint throughout and new carpet upstairs. Huge backyard with covered patio. New electrical box. Awesome workbench included. DID NOT FLOOD! Set up a tour today! Directions: Head west on I10 & exit Mason Rd. Make a right on Mason Rd, then left on Earl of Dunmore St. Home is on the left.